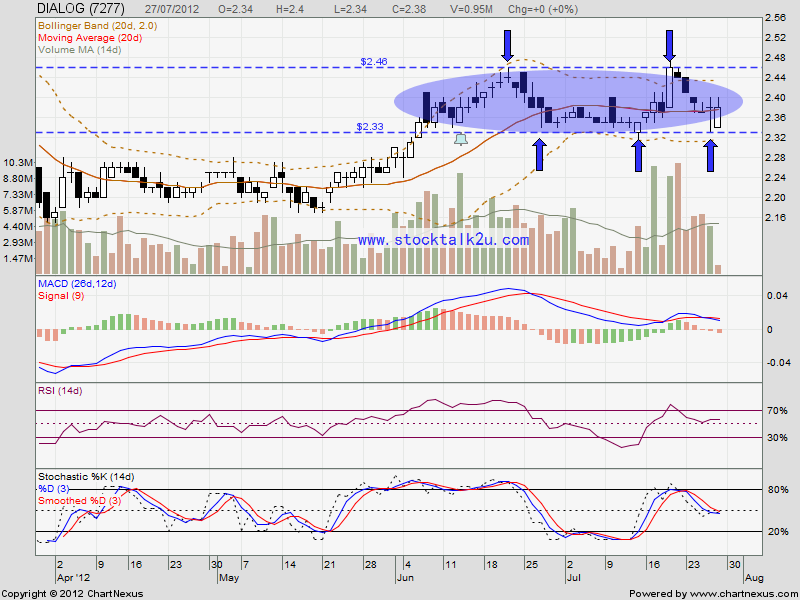 DIALOG is forming bolinger band squeeze within RM2.33 & RM2.46 level. When will it break through the band? 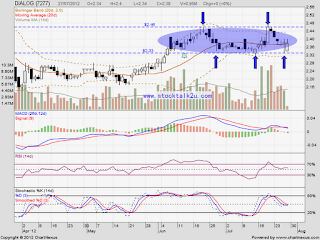 If the bull strong enough, potential break through RM2.46 resistance level.